This course covers issues relevant to open innovation and knowledge exchange. If you are seeking to understand and deal with the challenges of open innovation and knowledge exchange, this course is for you. 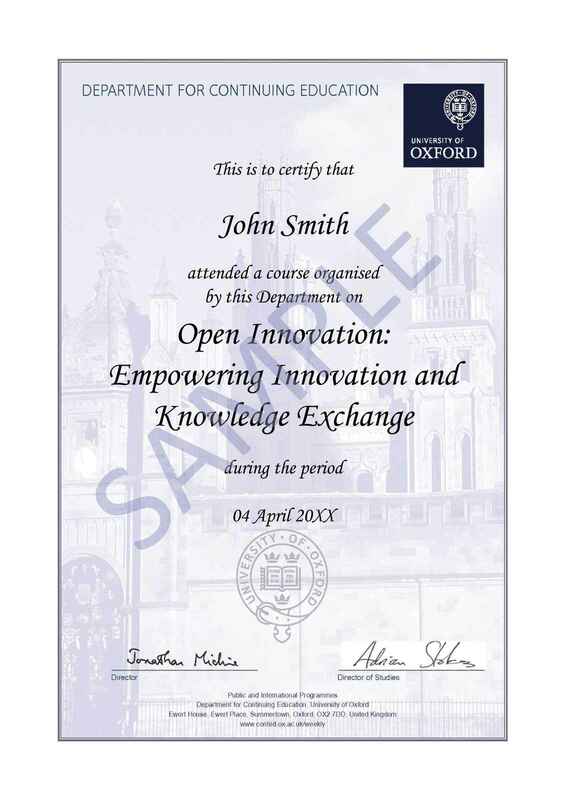 The course will be taught to cover both the theory and practical application of open innovation models. It's been designed to help you understand emerging innovation patterns and processes as they are developing in the global economy. The open innovation model is associated with managing a more open, collaborative framework of knowledge exchange and inventive processes. This enables firms and organisations to better use external, as well as internal, ideas to advance their innovative activity and overall performance. 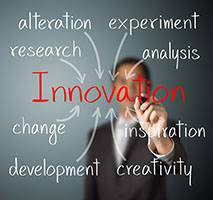 Open innovation is a radical departure from the traditional Research and Development (R&D) models, as firms seek to become more innovative, agile and open in the way they operate their innovation processes and become more efficient and productive in this process. However, there have been few opportunities to share and develop experiences associated with setting up and running open innovation activities with private or public organisations more widely. Open innovation concepts have also widened to encompass more novel and effective techniques to organise and manage groups or networks or companies and public organisations in a particular locale or sector. The course would therefore be of value and key interest to managers and research and technical staff from a wide variety of organisations from both the public and private sectors, as well as from manufacturing and service industries and the non-profit sector. The objective of study will provide an overview and analysis of open innovation, positing it within the context of wider R&D, technology and innovation activities and knowledge exchange, including their strategic purpose, economic structure, coordination and operational practice, governance and policy. The course reviews the nature, analysis and models surrounding the innovation process; the frameworks, activities and support mechanisms required for successful innovation; and, the risks and barriers to the implementation of open innovation and knowledge exchange. This course also covers a wide range of practical approaches to understanding the basic structure of open innovation, its links with creativity and the operational processes associated with its development. Jeremy Howells is a leading international researcher on innovation. He has researched extensively on innovation and knowledge exchange and taught at Cambridge, Manchester and Oxford universities. His current research interests focus on innovation intermediaries, open innovation and knowledge exchange. He has recently completed a major research funded by the Economic and Social Research Council (ESRC) on industry-academic links and has also undertaken research for the European Commission, Organisation of Economic Cooperation and Development (OECD) and the United Nations and worked as a consultant for a range of companies and public agencies. He has over 8,500 citations of his published work and was recently awarded the Fellowship of the Academy of Social Sciences (FAcSS) for his contribution to research. To introduce students to the concept and practice of open innovation so that they gain a better understanding of research, innovation and knowledge exchange strategy and practice. To review current approaches to open innovation within the private and public sectors, including non-profit organisations. To appreciate what kinds of activities are required in planning and developing an open innovation strategy at an organisational level and what kind of resources and actions are needed to succeed in this. To understand the key issues and barriers towards implementing a successful strategy of open innovation within an organisation. To increase understanding of, and develop skills in, open innovation and knowledge exchange processes. To facilitate the exchange of relevant experience, ideas and approaches within the group of participants. Each session will use a mix of presentation, whole group discussion, small group and individual practical exercises. There will be opportunities for students to share professional or personal experience if they wish. This short course syllabus emphasises study, research and practical skills of immediate application in the field and in the workplace. There is no minimum requirement for previous academic achievement or educational qualifications, but some prior knowledge or experience is desirable. It is designed for professionals with responsibility for research and development (R&D), innovation, design and knowledge exchange in their organisations, both those new to this field and people already active in it. The course will appeal to people leading change or planning to do so in this area in both business and the public sector.